Support us by joining up! The annual membership subscription is only $30.00 (AUD). 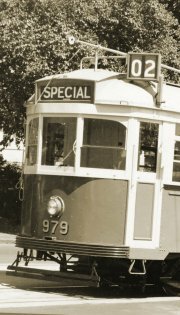 Support the Melbourne Tram Museum becoming a member. You can assist by volunteering in various activities, including operation of the museum, conserving our collection of Melbourne tramway artefacts and documents, and in developing exhibits for display. 10% discount off the purchase of new books from our shop (excluding postage and packaging).